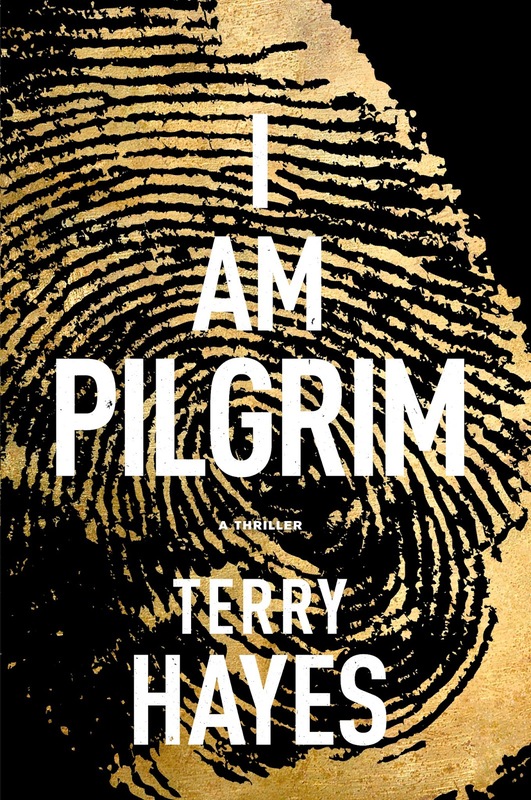 Move over Zero Dark Thirty, and make way for I Am Pilgrim. In a lot of ways, I Am Pilgrim reads like a movie. The visually captivating story is a thriller that keeps you on your toes, as you delightfully anticipate the tiniest shift in the plotline bringing you closer with solving the mystery. The sheer size of the book is enough to tell you that this is a 3-hour movie waiting to be made. What do a necrophile, a missing boy, and an unsavoury PI have in common? The Last Of The Independents reads like a real-time drama/detective story. 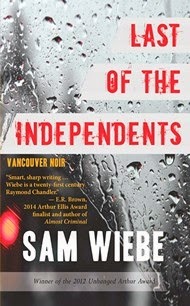 Sam Weibe has created a believable story around the main character -- Michael Drayton -- who runs a private investigation agency in Vancouver specializing in missing persons. At only 29 years old, Michael comes across as a much more seasoned individual, possibly because he is in the business that can take a toll on the human psyche. But he's also is haunted by another unsolved case. One of a young girl. 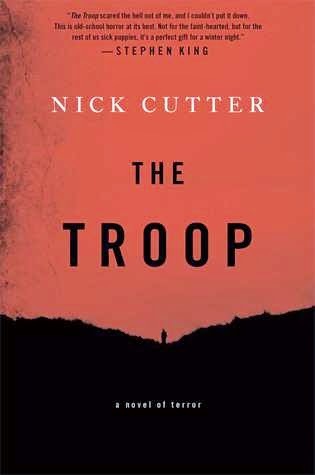 Tim Riggs – Scoutmaster Tim is unmarried and childless, and is by nature calm and unflappable – a valuable trait for a doctor. He grew up in Ontario and spent a year in Afghanistan with Doctors Without Borders. Now at forty-two, he’s settled in Prince Edward Island. Every year, he makes a trip to Falstaff Island, a tiny island about fifteen kilometers off mainland mass and 10.4 kilometers in circumference. 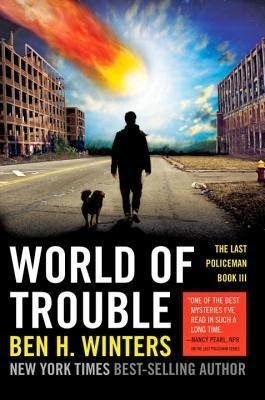 World Of Trouble is the third installment of Ben H Winters’ Last Policeman series. Down to the bone honest and riveting to the core, this book continues on the story of Detective Hank Palace, straightforward guy who constantly wants to do the right thing. But he is flawed, and a bit unsure of himself. Second-guessing every decision, and reflecting on past mistakes. And, why shouldn’t he be? There is a lot at stake here.